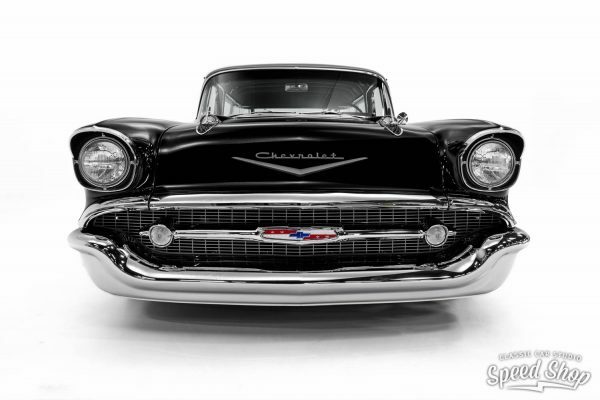 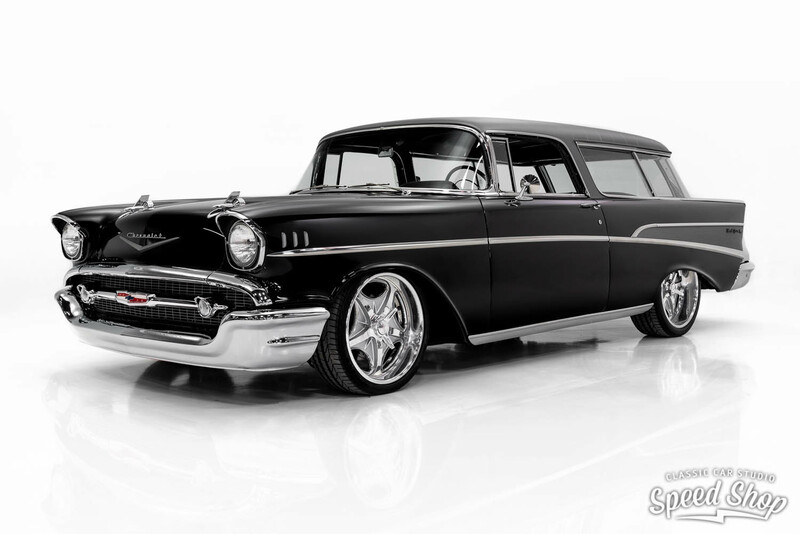 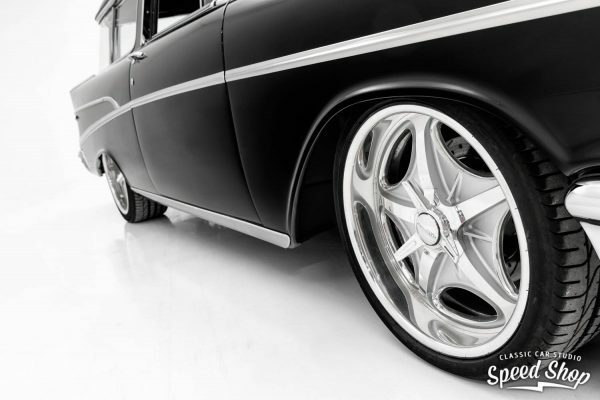 This 1957 Chevrolet Nomad was built by Classic Car Studio in St. Louis, Missouri. 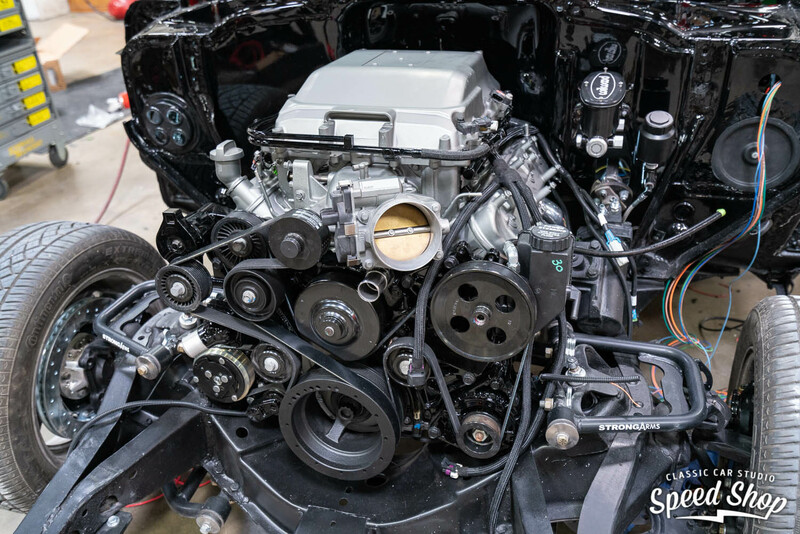 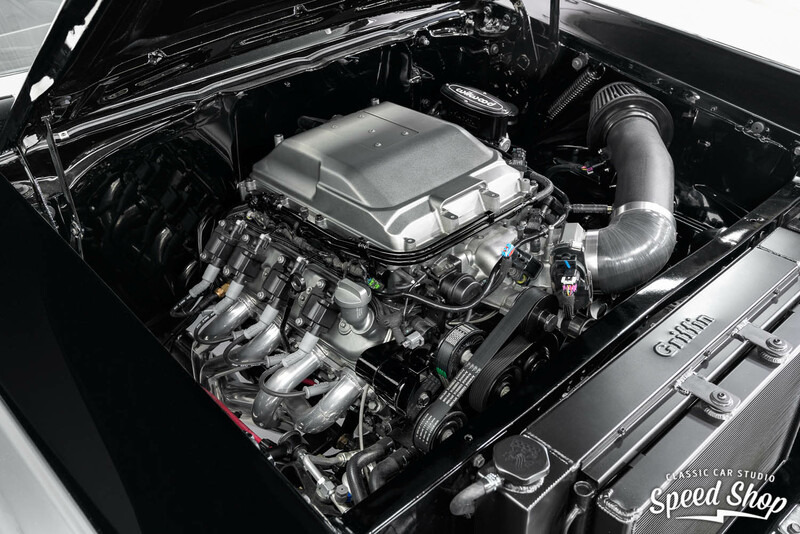 Under the hood sits a supercharged 6.2 L LSA V8 that makes 556 horsepower and 551 lb-ft of torque. 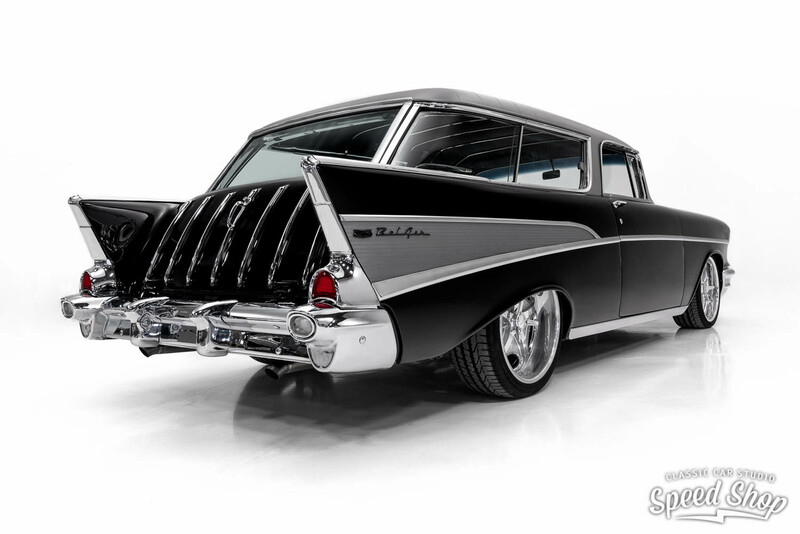 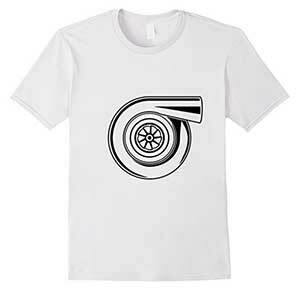 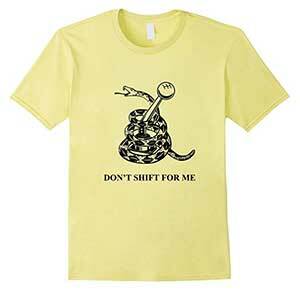 The engine is fitted with a FiTech fuel system, Muscle Rod Headers, and custom exhaust. 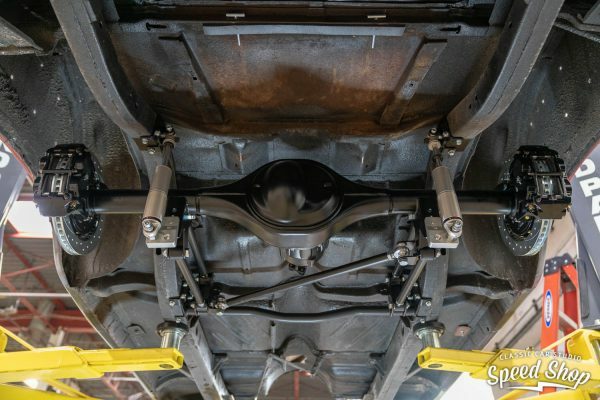 The drivetrain consists of a Tremec T56 Magnum six-speed transmission with a Centerforce twin-disc clutch connected to a John’s Industries Ford 9-inch rear end with 3.89 gears. 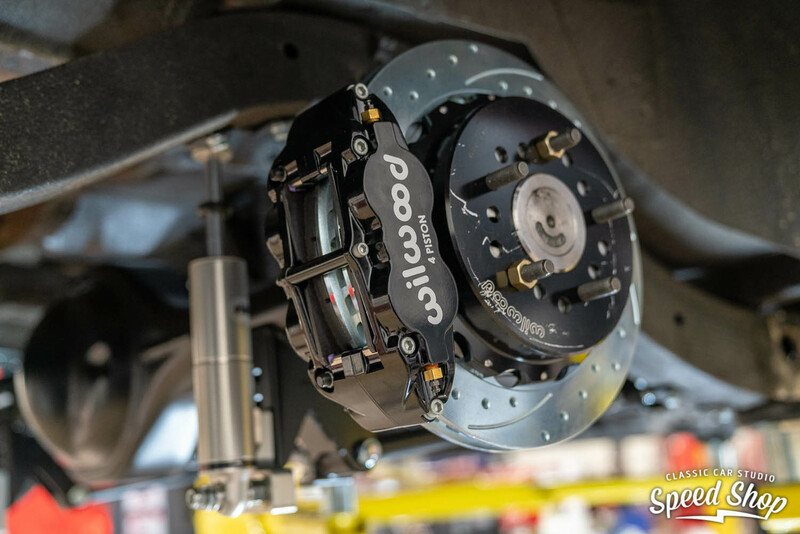 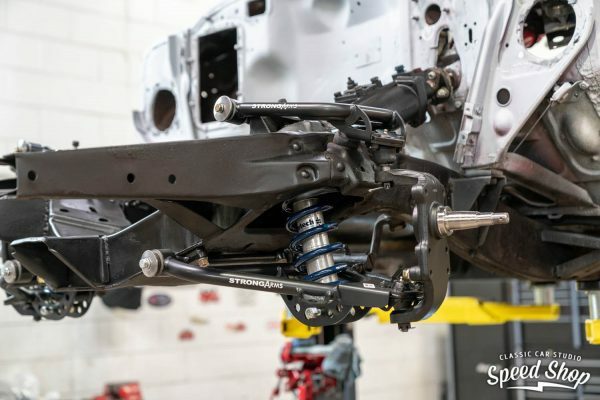 The wagon rides on RideTech adjustable coilovers with a 4-link rear suspension and Wilwood disc brakes.